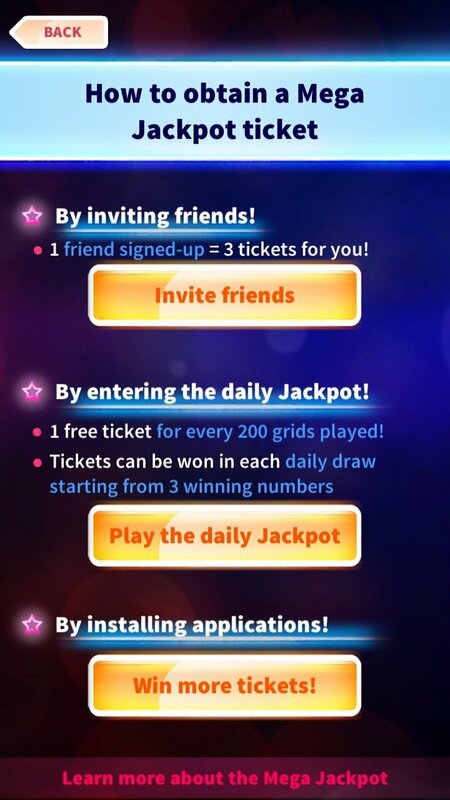 Wouldn't you like to play the lottery for free? 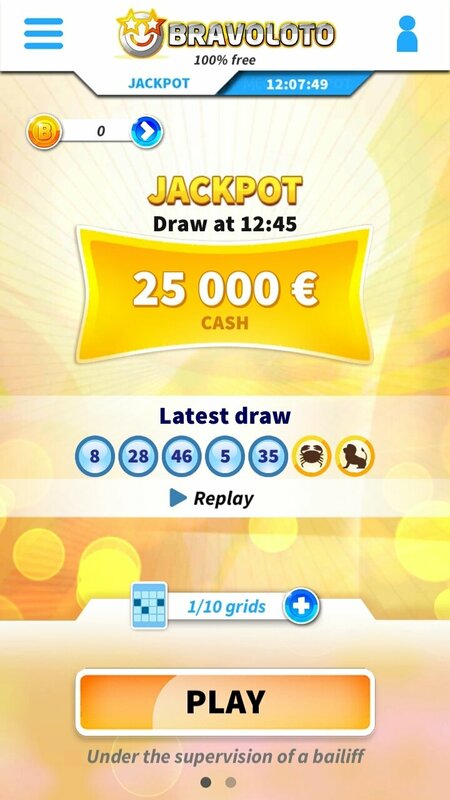 Well, that's precisely what the Bravoloto app is all about, as it allows us to take part in the draws organized by the app in a really easy manner without having to pay anything at all. 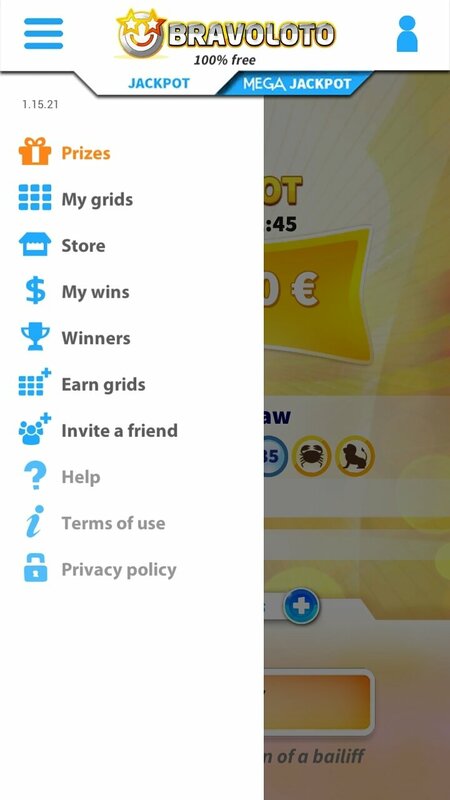 Since it's all based on adverts it allows us to take part in daily draws with several thousand Euros in prize money. 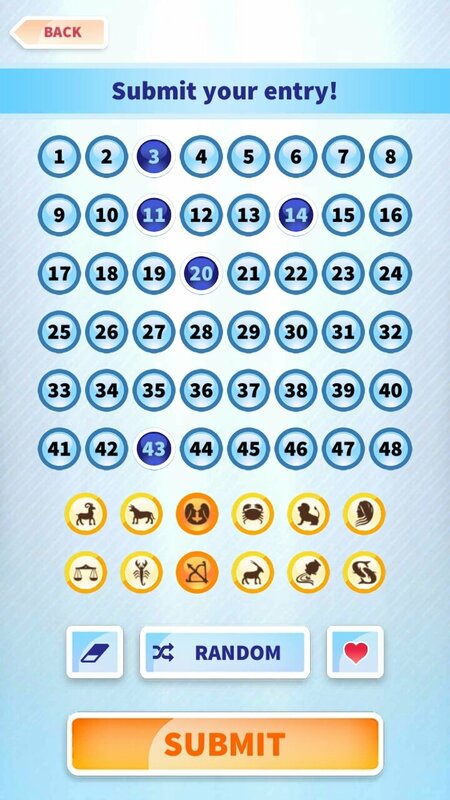 For such purpose, we only have to choose the winning combination on a cardboard with five numbers and two star signs (there really aren't too many differences regarding the Euromillions' system). 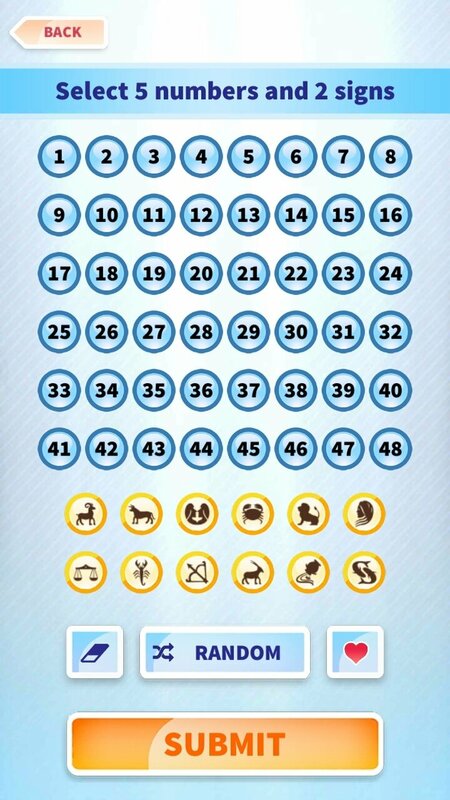 We can win prizes if we get at least two numbers. 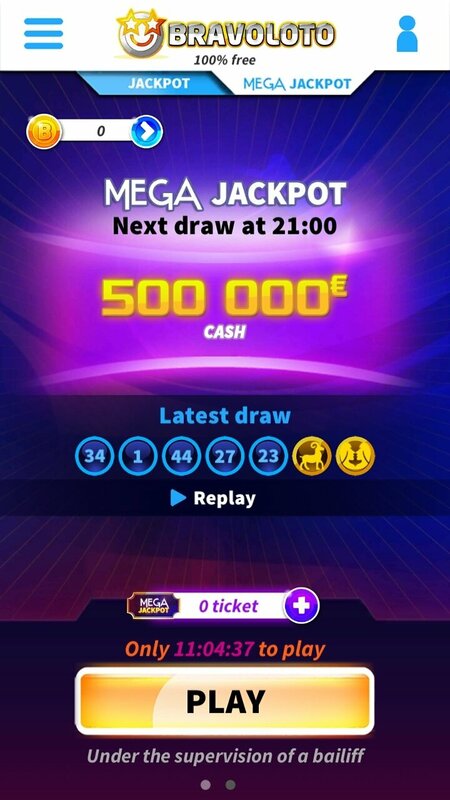 Prizes that can range between gift vouchers, the possibility to play more tickets to take part in the Mega Jackpot draw that can give out up to one million Euros. However, where's the trick? Well, you're going to have to put up with loads of adverts. Too many. 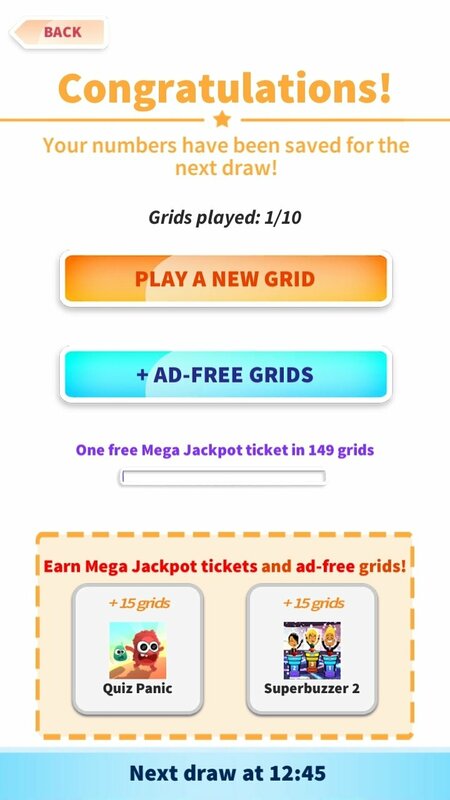 But that's the price to be paid for something that's totally free... Well, and you're also going to have to hand over some personal data when it comes to accepting the conditions of use of the app. In any case, you don't get too many chances to download an APK that can make you rich without spending any money.